I am happy to let you know that Creative Charms has met their goal of 1000 fans on Facebook and they are offering EVERYONE a giveaway to celebrate! Yes, I said EVERYONE. All you have to do is send a self addressed and stamped envelope (standard business size with 44 cent stamp) and Creative Charms will return it with a free gift to you. The only requirement is that you "Like" Creative Charms on Facebook. Yesterday was "Hello Thursday" and three cartridges were announced. 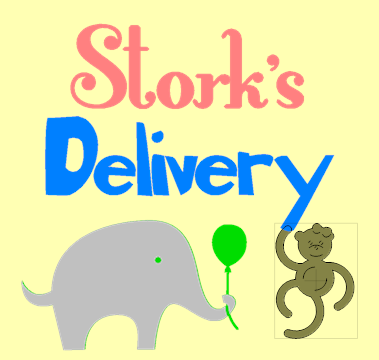 One is the Creative Memories "Stork's Delivery" cartridge that I told you about recently. I haven't been able to order a copy of this yet through the sampling program for CM consultants but it is supposed to be available beginning March 1st. You can download the cartridge handbook HERE to get a really good look at what this cartridge has to offer. There are images suitable for baby boys on the regular keys and for baby girls on the shift layer. 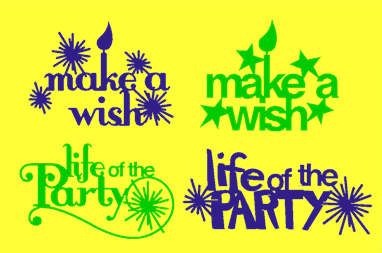 There is quite a bit of word art with typical phrases for baby books, two fonts (one girly - one boyish) and a monogram function (again one with the "boy" font called "Frogs and Snails" and one with the "girl" font called "Sugar and Spice"). There is a shadow function for the main images and two layers. This is a very full cartridge - I counted only seven "empty" key positions. While this is definitely a "baby" cartridge, there are a lot of items that are more generally useful. Some of the phrases will work for more than just babies and I really like the frames and buttons (you can see some of them in the preview image at the top of this post). Two new Color and Pattern Cartridges for the Imagine were also released. They are called "Heirloom" (download the handbook HERE) and "Vintage Papers" (download the handbook HERE). I think these patterns are great additions to the library. I am really excited that, with the new Craft Room program that I saw at CHA, you will be able to scale and move the patterns - this is something that has been a challenge when I use the Imagine now because I don't always want the papers scaled down to the cut size. There are Design Studio and Gypsy updates available. The Design Studio update is available HERE. 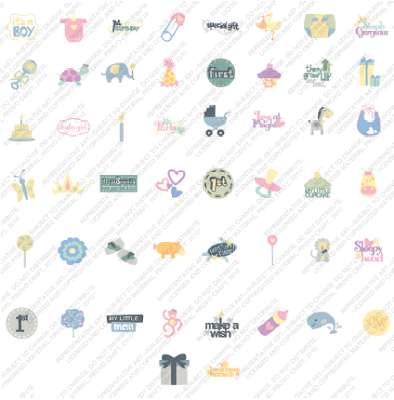 You will need to be signed in to the Cricut.com site. The screen says that the last update is for November, however, if you download the font pack update you will see that the version number has changed and it is V110210. You should SAVE the download to your computer and then run it to have the new cartridge information load correctly. 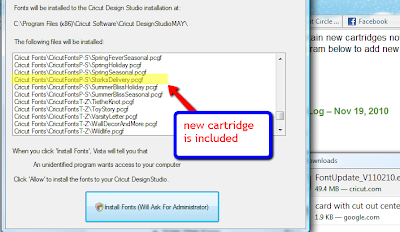 You will need to close and reopen Design Studio to see the new cartridge listed. 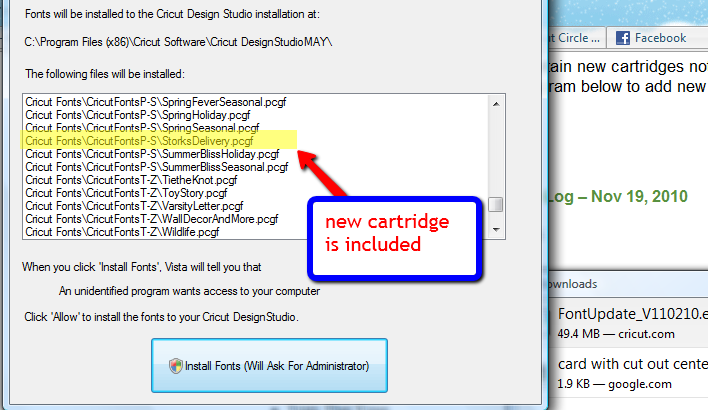 The Stork's Delivery cartridge is located in the font section between Stone Script and Storybook. As soon as I can get my hands on this one it will be moved to "My Cartridges." In the meanwhile, I can start designing projects in Design Studio and on the Gypsy! To update your Gypsy, connect it to your computer with the USB cable, turn it on and run the Cricut Sync program. The update takes a while but it went smoothly for me. Thanks for update info. Keep us informed when we can start ordering the new CM Cart. Even though it is a baby theme, I really love the Sugar & Spice font on it. Love the new "I" paper carts. So glad they came out with some vintage and heritage papers. Actually I am glad that they have finally decided to add new "I" anything. Was begining to think they had forgotten about the "I" all together. Happy to here your weather is warming finally. Thank you for giving us the ability to view the book online. I really like to be able to view the book before I decide to purchase a new cartridge. Also thanks for the giveaway...I feel like we (your fans) might be cheating you. You have the accomplishment and we get the gift. Thank you though, I'm sure I'll enjoy what ever my free gift is. Can't wait to see what it might be. let us know when we can order. i'll be getting mine from you. just updated bothe ds and gypsy. guess what? it still won't link 'car decals'. i'll be contacting pv. i'm sure i have a faulty cart...??? it did come in on design studio. so now after having it for two weeks, i can finally play with it. just letting you know, should there be others that may be experiencing the same problem. Thanks for all the updates. Unfortunately, I've read the information too late to be able to get anything sent to Creative Charms dated today (our small town doesn't have mail service on Sat.). Oh well, I liked their page ages ago anyways. Thanks for the info on the updates and the new cart! It loves quite cute! I'm very interested in this cart; can't wait for it to come out.